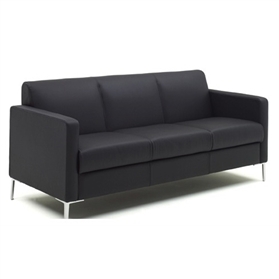 Designed by John Madden, Oasis is a range of soft seating that brings an air of calm into the office space. A range of sofas, chairs and ottomans create breakout spaces or private ‘pockets’ for people to talk, work, meet and relax. Traditional manufacturing is combined with a crisp contemporary aesthetic, ensuring the highest quality and attention to detail.